My husband and I have the worst sweet tooth, and have on occasion been known to eat an entire batch of cookies in only a day or two. Naturally, I want to try to prevent Grace from getting our sweet tooth, so when it came time to make a first birthday cake I opted for a healthier no sugar added version. I decided to make Grace a carrot cake with a cream cheese and butter frosting. The carrot cake is sweetened only with ripe bananas and dates. I even tried a little bit of it and it was actually pretty tasty. This cake is rather dense and is more like a pound cake than a traditional birthday cake. However, I was fine with that if it meant less sugar. 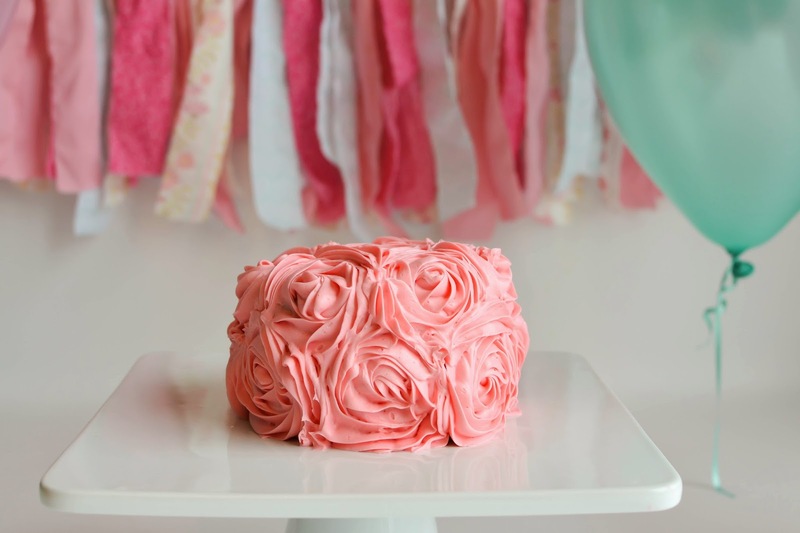 I also did not use any dyes in the frosting and achieved the color by using strawberry puree. How neat is that? The ingredients for the cake include bananas, dates, eggs, whole wheat flour, coconut oil or greek yogurt, carrots, cinnamon, nutmeg, and cardamon. Of course you do not have to use all or any of those spices, but Grace loves them. You can easily make this recipe egg or dairy-free by substituting unsweetened applesauce for the egg or yogurt depending on your dietary need. 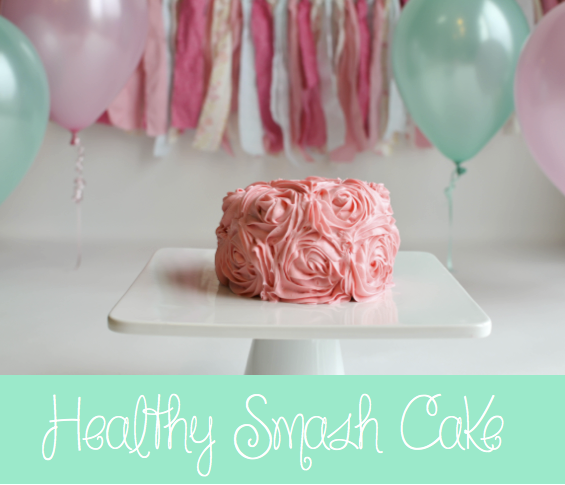 This recipe makes enough to make a two layer 6" smash cake for your little one. I started by chopping 10 dates in my food processor. If you don't have a food processor you can chop them by hand as well. Dates are a great sweetener for a lot of baked goods and a great way to cut the amount of sugar in your favorite recipes. Then I whisked 3 eggs in a medium sized bowl. If you do not want to use eggs you can substitute 3/4 cup applesauce, 3/4 cup greek yogurt, or an extra 1 1/2 bananas. Combine the bananas, dates, greek yogurt and/or coconut oil into a cream using a whisk attachment on a stand or hand mixer. Add dry ingredients and carrots to wet ingredients and stir with a paddle attachment until all ingredients combine. Split batter evenly into two 6" cake pans and bake for 45 minutes at 350 degrees. I did not want to buy new cake pans for a one time use, so I used some glass Pyrex Snapware containers I had lying around. Just make sure you grease them well. When the cake is done cooking let it stand before turning the cake on to a cooling rack. Let them cool completely before decorating. For the frosting I made a cream cheese and butter mixture. Originally I did not make enough to decorate the cake the way I wanted to, so I have doubled the recipe below. To start I mixed room temperature cream cheese and butter together with a stand mixer until light and fluffy. At this point you could add a little maple syrup for sweetness if you want, but I didn't because I knew Grace would eat it regardless. Then it was time to turn the frosting pink. We try to not eat any artificial dyes in our house for health reasons. Instead of food coloring I thawed then pureed some frozen strawberries in my food processor. Next I added the puree to the frosting mixture to get the desired color. It would be fun to use other fruits or vegetable to create different colors. The more puree you add the darker the color. However, the frosting will become thinner and harder to manage. The best part about making a cake is decorating it. I don't pretend to have any great cake decorating skills. I'll leave that to my mother. However, I do know how to assemble a piping bag. In order to create the rosette pattern I used a Wilton 1M tip and followed the tutorial on One Little Project. I did use a lot of frosting, but that just added to the fun for Grace. When I started piping I found the frosting a little difficult to work with, but some time in the fridge solved that problem. Pour into greased pans and bake for 45 minutes. They are done when you can push a toothpick into the middle of the cake and remove it with nothing stuck to it. Cool in pans for 5 minutes before turing the cake on to a cooling rack. In a bowl attached to a stand mixer, fitted with a whisk attachment, beat cream cheese and butter together until smooth with no lumps. Scrape down sides and add maple sugar if desired and mix. 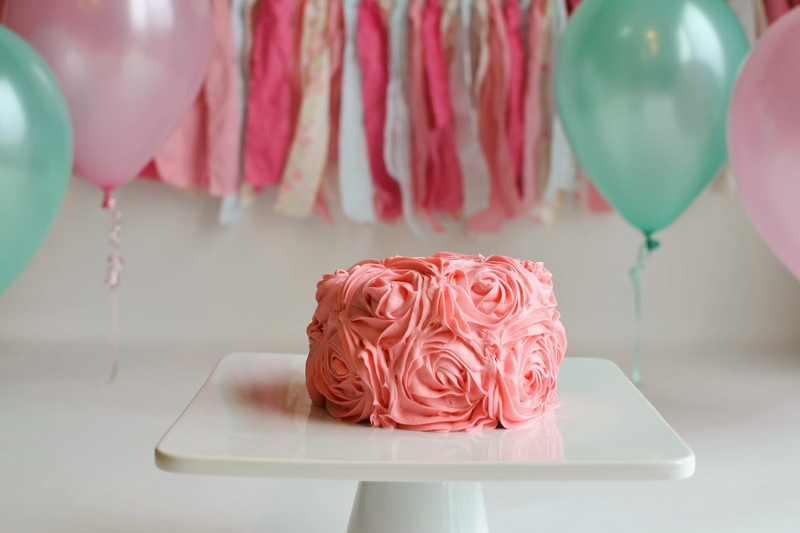 Add puree to frosting to create desired color. Remember adding more fruit will result in a darker color, but a thinner and harder to work with frosting. Fill and decorate cake. Refrigerate frosting before use if it is difficult to work with. Just wondering if you think switching the whole wheat flour for a gluten free substitute might work? 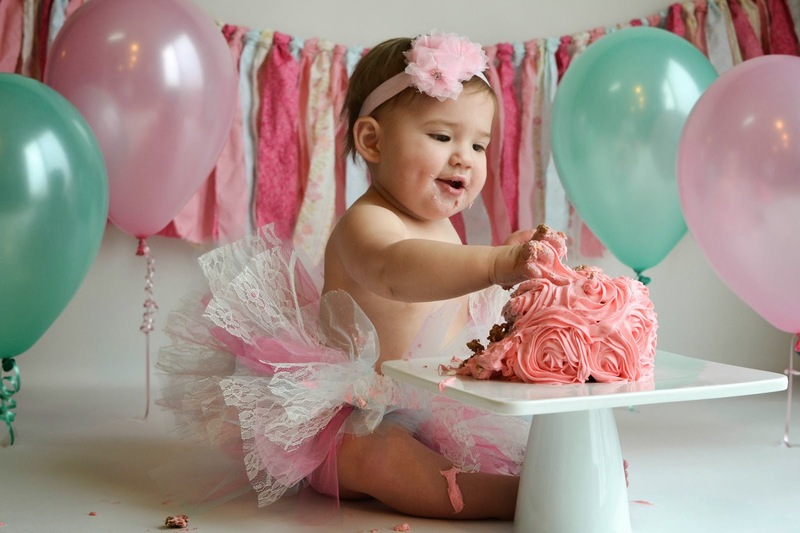 I would like to do a lovely top tier for the babies at my daughter's birthday and the people with dairy and gluten allergies. This one looks really yummy! Do you know if this cake can be frozen? Thanks! Just made this yesterday as a practice cake for the big day and it turned out great! We did substitute applesauce for eggs as mentioned. We'd like to substitute apple for the carrot. Do you have any thoughts, corncerns or suggestions with this swap? 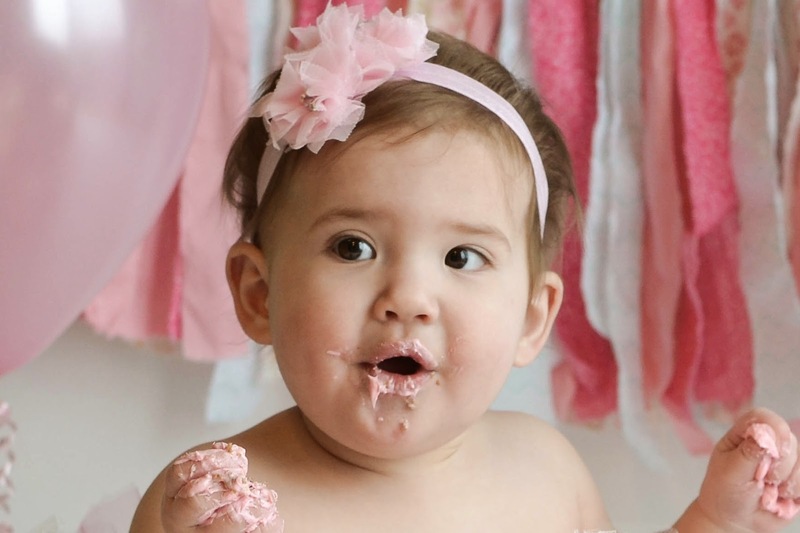 Your post couldn't be any cuter! Made this yesterday as a practice for the big day using applesauce in place of eggs. It turned out great! We'd like to use apple in place of the carrot...any thoughts/ideas/suggestions on this? Thank you very much for your time! This is a great alternative to traditional cakes... But it is far from sugar-free. Thank you for sharing! My little one is also named Grace :) We do not eat grains (I have an allergy), so I think I am going to try this with 1/3 cup coconut flour in place of the whole wheat flour. I will report back how it turns out. Thanks again! This sounds sooo yummy! My little girl loves dates, bananas and carrots! And with the strawberry cream cheese frosting on top??? She'll go crazy for this cake. 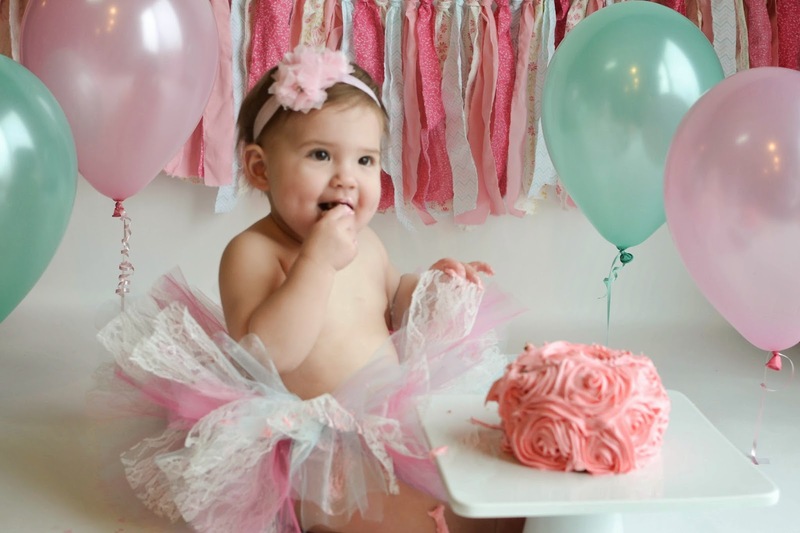 I'll for sure make it for her 1st birthday! This cake is a beauty, I can't even!!! Hi. Can I use plain cake flour? Great recipe! Thanks for sharing this. What did you use to grease the cake pans?